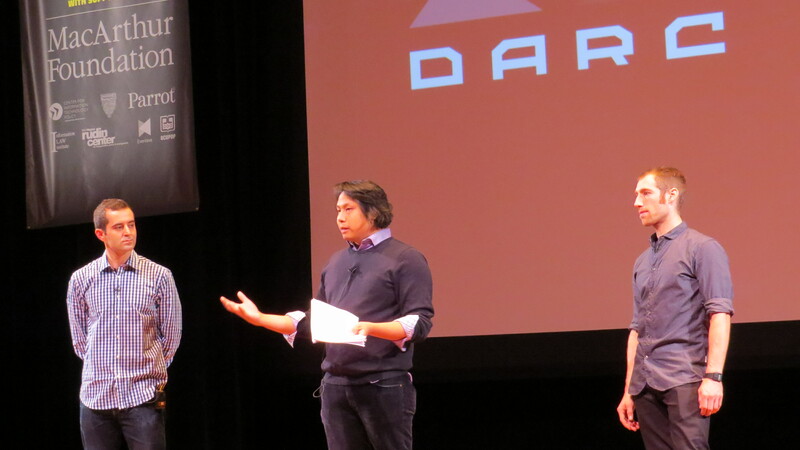 Ben Moskowitz, Chris Wong, and Dean Jansen of the DARC. Technologists, aerial photographers, activists, hobbyists, lawyers and even a philosopher are in attendance at the first Drone & Aerial Robotics Conference (DARC) in NYC this weekend. It is a mixed crowd of younger and older, men and women, jeans and just a few suit jackets. Friday kicked off with a full day of speakers, panel discussions, and demonstrations. The three conference directors, Ben Moskowitz, Christopher Wong, and Dean Jansen kicked things off. Chris explained that the conference aims to get the public conversation started on the issues of privacy, public spaces, safety, and liability, and innovation. Many of the speakers and panel discussions had a strong theme around the legal and ethical implications of unmanned aerial systems (UAS), whether they be military or state owned, used by a small business, or just used for fun. 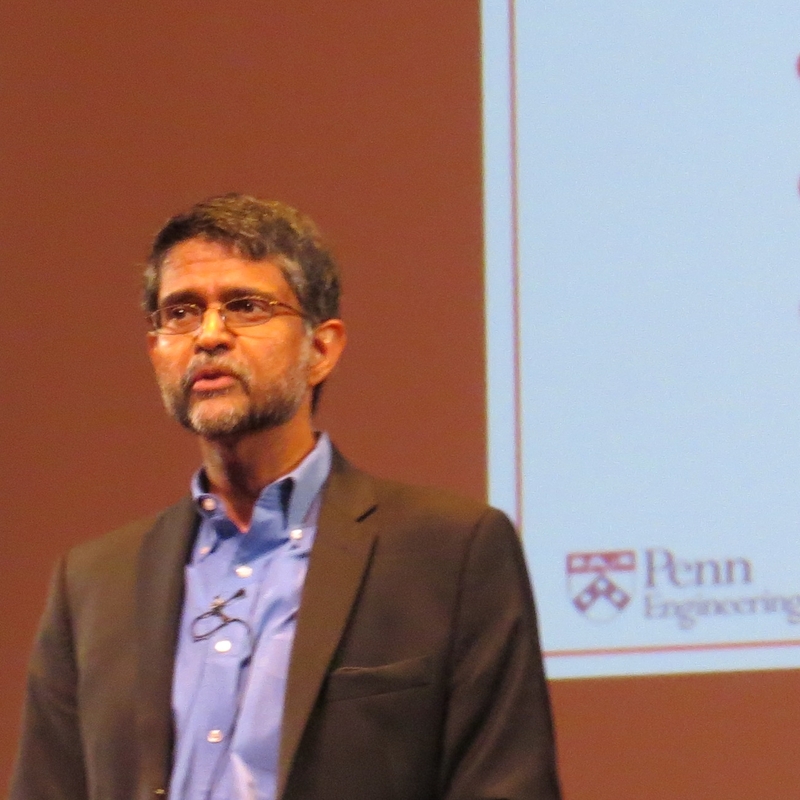 Dr. Vijay Kumar of the University of Pennsylvania School of Engineering spoke about socially positive uses for aerial robotics, such as emergency first responders. Dr. Kumar’s work focuses on micro aerial vehicles. 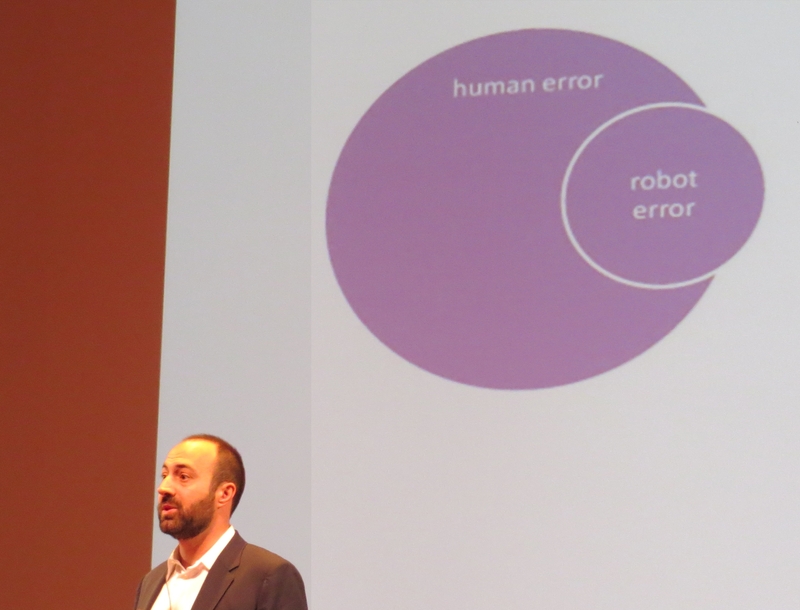 He explains that, “size does matter.” As robots get smaller, mass and inertial is reduced. If you halve the mass, the acceleration doubles and the angular acceleration quadruples. This makes for a robot that is fast and responsive, ideal for operating indoors or out, and perfect for search and rescue missions in collapsed buildings or around other hazards. Dr. Kumar wasn’t the only one presenting on positive uses for drones. Buddy Michini is Director of Research at Airware, a company that makes autopilot systems for unmanned aircraft. Buddy discussed how unmanned aerial systems have been used to prevent animal poaching in Africa. He related a tale of one poacher who, when confronted with a drone observer, reacted by raising his arms in surrender. When he realized there was no one coming to arrest him, his response was to turn and flee as fast as he could. Perhaps the bad reputation drones have gotten in the news was a benefit in this case. 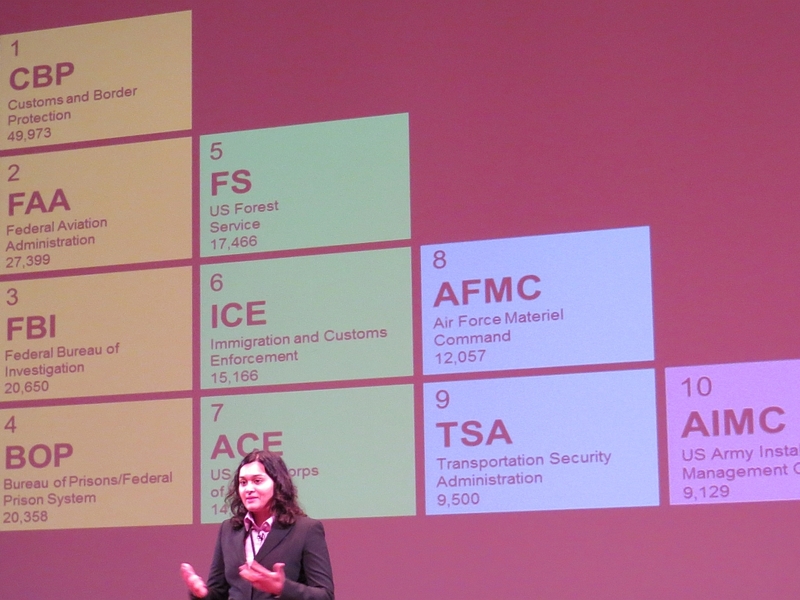 Samra Kasim and Matt Cassavale, two representatives of Deloitte LLP, presented on the number and use of drone technology by U.S. government agencies and the military. Deloitte is a major consultancy to both state and federal government. There are many more drones used in civil government than by the military, with customs and boarder protection, the FAA, the FBI and the federal prison system being the top users. They discussed the job creation opportunities behind the use of this technology, indicating that this will be a growth sector for the job market. 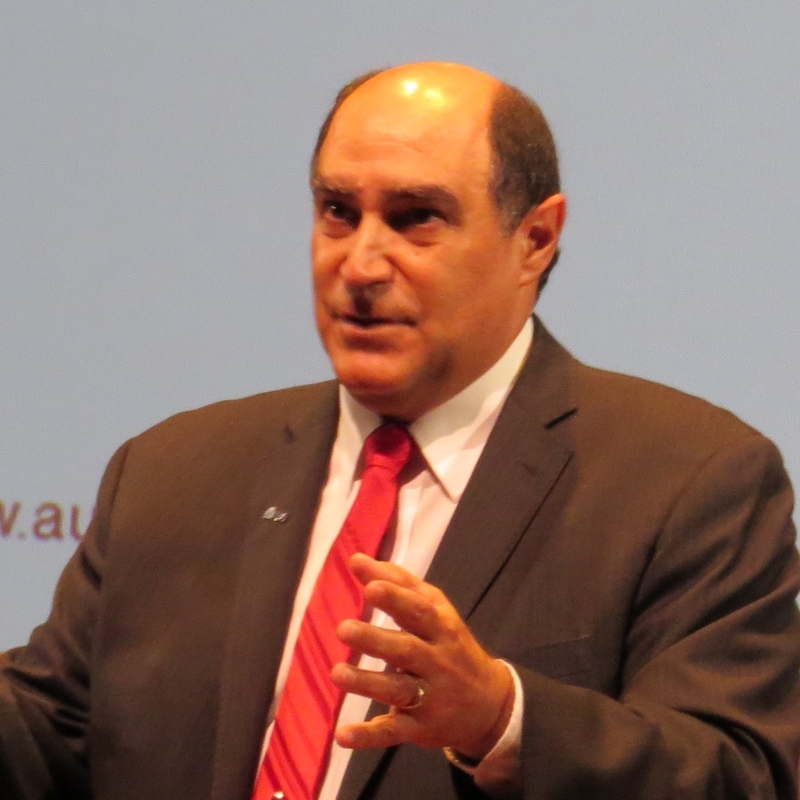 Michael Toscano of the Association for Unmanned Vehicle Systems International (AUVSI) was an eloquent and entertaining speaker. Like a couple of speakers before him, Michael discourages the use of the term ‘drone’ due to its negative connotations. 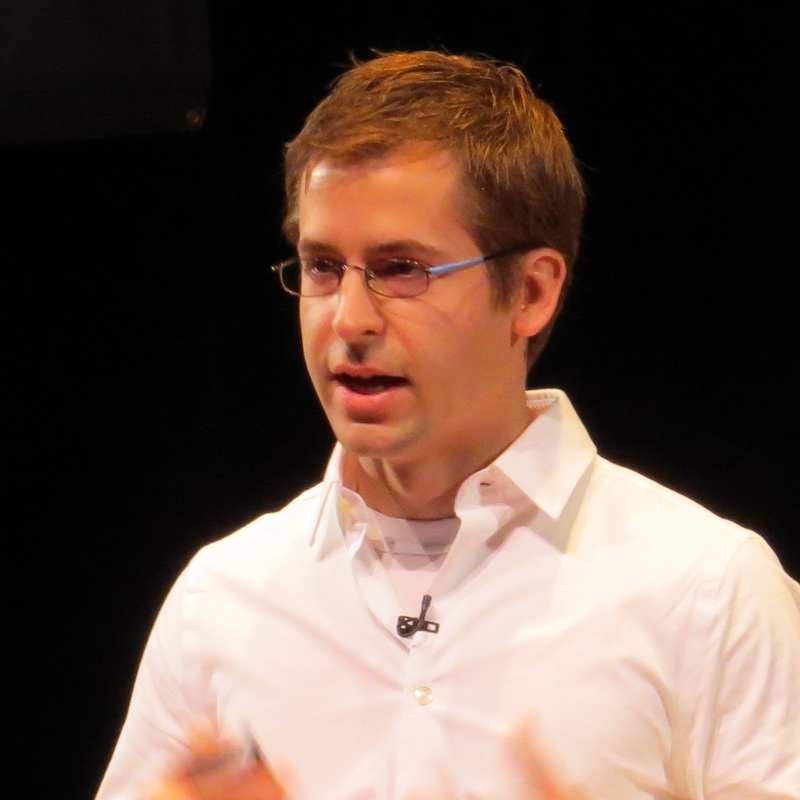 “80% of people hear the word drone and think large, military, weaponized, and hostile,” he said. That’s only part of the picture for unmanned vehicles. He advocated their use for precision agriculture, stating the need for a 70% increase in food production to meet growing populations. “Corn doesn’t mind if you watch it,” he joked. There were other cool presentations by Sergei Lupashin of the Swiss Federal Institute of Technology (ETH) in Zurich (more on him in another post), and Raphael “Trappy” Pirker, who is well known in the world of unmanned aerial videography and First Person View (FPV) RC flying. Raphael appeared on stage with his lawyer, Brendan Schulman. Brendan is also an avid RC flyer. He’s representing Raphael against the FAA, which has fined him $10,000 in an unprecedented case involving civilian use of drones. The conference did not shy away from the moral implications Professor Kaag cautioned about. A panel titled, “Live Under Drones” confronted attendees with the tremendous negative impact drones have had in the countries in which the U.S. military operates them. A second panel, “A Right to Drones”, discussed whether to freedom to use unmanned aerial vehicles for legitimate commercial and even humanitarian reasons outweighed their more controversial potential to affect our privacy and other moral issues. It was clear that if you want to get involved in this technology, you can’t completely divorce yourself from the ethical and legal implications. I ended up discussing this with president and founder of the DC Area Drone User Group (DC DUG), Timothy Reuter and other members of the group. The DC DUG has grown to about 600 members since they were founded around a year ago. They do their best to educate new members on safely using the RC and autonomous aerial systems, like not flying directly over people. They were very interested in discussing how they might play a positive role in promoting safe use and legal use of this technology. A few scheduled speakers were unable to make it to the conference due to the U.S. government shutdown, including representatives from NASA, the National Transportation and Safety Board and National Oceanic and the Atmospheric Administration. Also notably missing was Chris Anderson, CEO of 3D Robotics, who had to cancel at the last minute. Following a break for people to get dinner, attendees and the public were invited back to check out the “After DARC” program. The evening’s proceedings were lots of fun with presentations and demonstrations from Robin Mehner of Nodecopter, Karthik Danthu and Geoff Barrows from the RoboBees project, Raphael Pirker of Team BlackSheep, Eirik Solheim of the Norwegian Broadcasting Corporation, Baptiste Tripard from SenseFly. Heather Knight also presented alongside her robotic comedian partner, Ginger. A last minute addition was 14 year old Riley Morgan, who demonstrated a quadcopter he built. The first day of the DARC was largely a success. It is the first conference of its kind, and will hopefully spawn additional debate and collaboration. Stay tuned for more info on the DARC activities throughout the weekend.